Whatever it is, Obama has an undeniably deep-seated dislike for veterans: Classifying returning veterans as potential threats; Obamacare's mental health screens targeted at robbing veterans of their Second Amendment rights; locking veterans up for speaking out against his administration; Benghazi; gun-free zones on military bases... The list goes on and on, leading to a most disturbing conclusion that MAYBE OBAMA HATES VETS. Does he hate their virtue and their popularity? IS he frightened by their skill and is petrified by their presence? Join us in demanding the COMMANDER IN CHIEF, the President of The United States of America and Congress keep their promise to provide quality healthcare and RESPECT for our veterans. Some of our troops have suffered terrible injuries -- both physically and mentally -- yet come home to find that the government which is the steward of the country they fought and bled for simply doesn't care. If anybody deserves to be taken care of, to be given access to quality healthcare, it's the brave men and women who dedicate their lives to protecting this country. Show these heroes the respect we have for them by signing the petition today. Because home is the last place these patriotic warriors should have to continue to fight and suffer. Tags: Obama Administration, PResident Obama, Congress, Veterans, Special Operation Speaks To share or post to your site, click on "Post Link". Please mention / link to the ARRA News Service. and "Like" Facebook Page - Thanks! The Senate reconvened at 10 AM today for a pro forma session. Another pro forma session will be held Tuesday at noon. Yesterday, Sen. Marco Rubio (R-FL) asked unanimous consent to pass the bipartisan House bill (H.R. 4301) allowing more VA accountability, but Senate Democrats objected. Democrat Majority Leader Harry Reid would not allow consideration or a vote on the bill. The Senate adjourned for Memorial Day weekend. What Irony! While vets suffer and die in a failing VA Senate, Democrat Senators would not allow a vote on the VA Accountability bill. Also yesterday, the Senate voted 53-45 to confirm David Barron to be a United States Circuit Judge for the First Circuit and 91-7 to agree to the conference report on H.R. 3080, the Water Resources Reform and Development Act. The country has rightly been focused on the unfolding VA scandal and the Obama administration’s so far inadequate response this week. However, news reports about the various problems and dysfunctions of Obamacare have continued, and they’re worth noting. The negative consequences of Democrats’ unpopular health care law continue to pile up, as do the failures and bureaucratic red tape of both Obamacare and VA-Care. Obamacare needs to be repealed and replaced with step-by-step solutions that actually address health care costs. Ditto Veterans Health Care! Fire some people and motivate them to do their required jobs! Move to privatizing / choice for veterans. Tags: VA, Healthcare scandal, Obamacare scandal, To share or post to your site, click on "Post Link". Please mention / link to the ARRA News Service. and "Like" Facebook Page - Thanks! Sorry Veterans, It’s Recess Time! a VA Dr. and to get treatment. Lucinda Friggins, Contributing Author: In light of the sudden awareness of an age old problem of veterans being denied earned medical assistance at VA facilities across the country, on Thursday, May 22nd, the U.S. House of Representatives passed H.R. 4031, the “Department of Veterans Affairs Management Accountability Act of 2014” which was attempting to FINALLY hold federal employees accountable for widespread mismanagement in providing VA benefits to the millions of veterans who have rightfully earned VA medical assistance. The bill would give the VA Secretary greater authority to fire employees and remove them from SES service due to poor performance in the same manner a Member of Congress can remove a member of their staff. The bill would require the VA Secretary to give the Senate and House Veterans’ Affairs Committees notice of removal within 30 days of removing an individual. Who benefits: The millions of veterans who depend on VA for benefits and services, the taxpayers who fund these important programs, and the other VA employees that deserve the best and most accountable senior leaders possible. The bill has over 115 Republican and Democratic cosponsors. The bill has received letters of support from leading voices in the veterans community including; IAVA; AMVETS; The American Legion; Concerned Veterans for America; and the Reserve Officers Association. This Bill was sent to the Senate for approval prior to Congress taking recess for the Memorial Day holiday. Senate DEMOCRATS IMMEDIATELY refused to pass it. They will NOW go home to their respective states and have a restful holiday break while millions of American veterans continue to be denied medical aid from the very government they have fought to protect. And where is our President who’s campaign message was to fight for these veterans by cleaning up this government agency? He was out of his office again, speaking to Walmart employees, visiting a baseball museum, and fighting to lessen wait times in our airports. THIS IS DISGRACEFUL!!! Wes Moore of USA Today reported on May 22, 2014 - “Since 2001, the number of suicides among active duty troops has more than doubled. In the Army alone, suicides have tripled. In fact, suicide has become the second most common cause of death in the military. This is not just a phenomenon for those still actively serving. The Department of Veteran Affairs estimates that 22 veterans take their own lives each day, though these numbers might be significantly underestimated because they are based on incomplete data from fewer than half of the states.” And why are these numbers incomplete from the organization responsible for such statistics? Incompetence! It doesn’t matter which political party you are affiliated with, you should be outraged that our ELECTED representatives are refusing to represent those men and women who have fought for our right to freedom. Perhaps that is the clue. These elected representatives have forgotten who put them where they are by refusing to due their duty to oversee this rogue segment of government called the Veteran’s Administration. Go to the links below and either call the offices of these uncaring politicians and voice your opinion or send them an email. This link will provide you with the phone numbers, mailing address and email address. DO IT TODAY FOR A VET YOU KNOW OR FOR THE MILLIONS YOU DON’T KNOW WHO PLACED THEMSELVES IN HARM’S WAY FOR YOUR FREEDOM AND NOW NEED US TO FIGHT FOR THEM! Tags: Veterans Administration, VA, scandals, veterans not being treated, veterans dying, Lucinda Friggins To share or post to your site, click on "Post Link". Please mention / link to the ARRA News Service. and "Like" Facebook Page - Thanks! 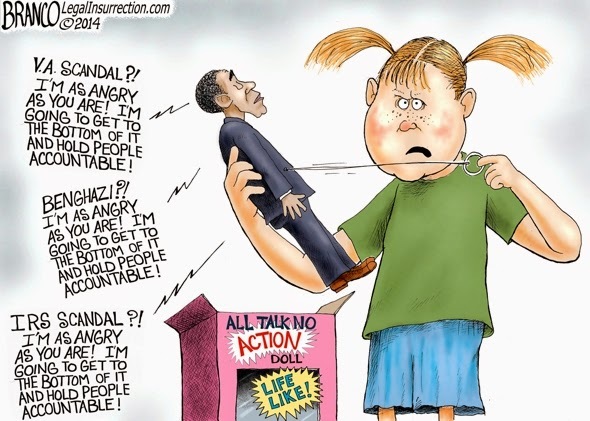 Tags: President Obama, broken record, doll, I,m angry as you are, Benghazi Scandal, IRS Scandal, VA Scandal, AF Branco, editorial cartoon To share or post to your site, click on "Post Link". Please mention / link to the ARRA News Service. and "Like" Facebook Page - Thanks! 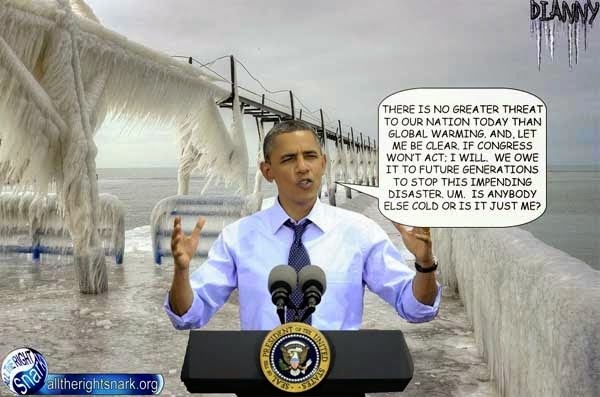 Alan Caruba, Contributing Author: Even though President Obama continues to lie about “climate change” and employs the many elements of the federal government to repeat those lies, this huge hoax is dying. Obama is on record saying that climate change “once considered an issue for the distant future, has moved firmly into the present” and is “affecting Americans right now.” Climate change as studied by climatologists is measured in terms of centuries whereas the weather is what is happening today. It has been happening before and since the rise of civilization. Obama’s claim that “climate-related changes are outside of recent experience” and “have become more frequent and/or intense” is a lie from start to finish. The White House recently released its latest “National Climate Assessment.” It is 841 pages of outlandish claims that reflect the lies generated by the United Nations Intergovernmental Panel on Climate Change. When you consider that the federal government spends an estimated $2.6 billion annually in grants for climate research, about the only beneficiaries are those “scientists” employed to further the hoax. 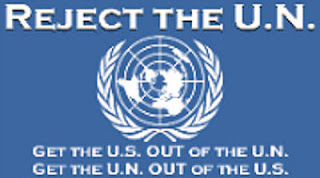 The UN’s IPCC was created in 1983 and has issued a series of reports whose sole intention has been to frighten people around the world with claims of global warming that are scientifically baseless. The Heartland Institute, a non-profit market-based think tank, responded by creating the Nongovernmental International Panel on Climate Change (NIPCC) and by sponsoring a series of international conferences. The 9th conference will be July 7-9 in Las Vegas. That effort began in 2003 in cooperation with the Science & Environmental Project led by Dr. S. Fred Singer and was joined by the Center for the Study of Carbon Dioxide and Global Change. I am an advisor to the Institute, having written about environmental and energy issues for several decades at this point. Calling on thousands of scientists around the world, in 2013 the NIPCC published the first of a three-volume response to the IPCC’s fifth assessment. This year, it has published a volume of Climate Change Reconsidered devoted to biological impacts, a 1,062 page opus. The NIPCC is an international panel of scientists and scholars with no government affiliation or sponsorship, and it receives no corporate funding. Writing in the Financial Post in October 2013, Lawrence Solomon, the executive director of Energy Probe, a Toronto-based environmental group, noted that “solar activity is now falling more rapidly than at any time in the last 10,000 years.” The Earth’s climate is primarily a reflection of solar radiation or the lack of it. From 1300 to 1850, the Earth was subject to a mini-ice age. While the global warming hoax began in the late 1980s, Solomon noted that, in the 1960s and 1970s, the scientific consensus was that the Earth “was entering a period of global cooling. The media in those years was filled with stories about a pending new ice age. It was only the intervention of the UN’s IPCC that changed the “consensus” to one of global warming. A cooling cycle that began around fourteen years ago could lead to another mini-ice age or the planet could be on the cusp of a full-fledged one. On average, the interglacial periods of the Earth have lasted about 11,500 years and we are at the end of such a period. “Atmospheric carbon dioxide (CO2) is not a pollutant.” Considering that all vegetation on Earth depends on it, it is not surprising that another conclusion was that the ongoing rise in the air’s CO2 content is causing a great greening of the Earth. The irony of the latest NIPCC report, of course, is that it responds to the claims of global warming and carbon dioxide’s role at a time when the Earth is cooling. It makes one wish that all the talk about “greenhouse gases” is true enough to help us escape from the present cooling. One thing we do know for sure is that the Greens talk of climate change has lost its grip on the public imagination and attention. As the cooling cycle continues, people around the world will be far more focused on increased evidence of massive ice sheets at both poles, on frozen lakes and rivers, on shortened growing seasons, and on the desperate need for more fossil fuels to warm our homes and workplaces. Tags: Climate Change. lies, Alan Caruba, warning signs To share or post to your site, click on "Post Link". Please mention / link to the ARRA News Service. and "Like" Facebook Page - Thanks! Repression of academic freedom — far from shielding us from error — undermines the very process of truth seeking. From Rutgers to Stanford, opponents of academic freedom are growing bolder by the day. Yet important questions remain unanswered: what is the meaning of academic freedom? Why it is important? How it is achieved? Scarcely a week passes without some university committing an offense against intellectual or academic freedom. Given the strong leftward tilt and the manifest ideological imbalance at most of our nation’s colleges and universities, it is almost always the case that the victim of the attack is a student, professor, or member of the administrative staff who has dared to write or say something (whether in a classroom, a publication, or a casual conversation) that disputes a politically correct dogma, such as the belief that there is nothing morally wrong or even questionable about homosexual conduct and that “sexual orientation” is akin to race. Perhaps it is worth pausing to ask why we care—or should care—so much about intellectual freedom in the academy. Why ought we be concerned about the rights of an administrator who is fired for stating her moral views by a university that says it is morally neutral and nonsectarian, or the freedom of an assistant professor who is denied tenure because he would not toe the party line at such a university? Why should we care about students who are punished with a bad grade for having the temerity to state views that are out of line with those of the course instructor? What is it about intellectual or academic freedom that makes it worth worrying about—and worth fighting for? It is not—or not merely—a passion for freedom for its own sake. We want our young people and those responsible for teaching them to be free from repression or invidious discrimination, but we should fight for these freedoms for a reason that goes significantly beyond them. We should fight for freedom from oppression on our campuses because we believe that academic freedom is freedom for something, something profoundly important—namely, the intellectual excellence that makes self-mastery possible. We should struggle to destroy political correctness on college campuses so that students and scholars can pursue understanding, knowledge, and truth more robustly across the arts and sciences and appropriate the great goods of human intellectual striving more fully into their lives for their benefit and for the sake of the common good. We should honor academic freedom as a great and indispensable value because it serves the values of understanding, knowledge, and truth that are greater still. Although some have depicted freedom and truth as antithetical, in reality they are mutually supportive and, indeed, dependent on each other. The defense of academic freedom and the interrogative attitude it serves and supports must, implicitly at least, appeal to the concept of truth, and any plausible case for academic freedom must present understanding, knowledge, and truth as the intrinsic values that make the intelligibility of freedom indispensable to their pursuit and meaningful appropriation. On the other side of the question, the overwhelming evidence of history, not to mention the plain evidence under our noses when we examine the contemporary situation in much of the academy, shows that freedom is as necessary to the intellectual life of man as oxygen is to his bodily life. Should academic freedom be boundless? Of course not. And the legitimate scope of expression is obviously narrower in institutions that are founded on particular religious and moral principles than it is in institutions that proclaim themselves to be nonsectarian and nonpartisan. But the scope of freedom, as a value that is ordered to truth, must be generous—especially in the academy, where free inquiry, exploration, and experimentation are often essential to insight and richer understanding. Even within its legitimate bounds, can academic freedom not be abused? Of course it can be, and all too often it is. Academic freedom does not guarantee excellence (or even passable scholarship or teaching). Sometimes respect for it insulates abuses from correction. But, again, the lessons of history and our current situation are clear: repression of academic freedom—far from shielding us from error—undermines the very process of truth seeking. I have already mentioned that some partisans of academic freedom misguidedly depict truth as an enemy of freedom. They appeal to, or presuppose, a species of relativism or subjectivism or radical skepticism in defending freedom of inquiry. Now, it is certainly true that one reason for respecting academic freedom is that people can be mistaken about what they regard—even securely regard—as true. Indeed, even unanimity of belief does not guarantee its correctness. But I think that the possibility of error is not the primary or most powerful reason for honoring academic freedom and protecting it even in areas where we are secure in our knowledge of the truth. The stronger and deeper reason is that freedom is the condition of our fuller appropriation of the truth. I use the term appropriation because knowledge and truth have their value for human beings precisely as fulfillment of capacities for understanding and judgment. The liberal arts liberate the human spirit because knowledge of truth—attained by the exercise of our rational faculties—is intrinsically and not merely instrumentally valuable. “Useful knowledge” is, of course, all to the good. It is wonderful when human knowledge can serve other human goods, such as health, as in the biomedical sciences, or economic efficiency and growth, or the constructing of great buildings and bridges, or any of a million other worthy purposes. But even “useful knowledge” is often more than instrumentally valuable, and a great deal of knowledge that wouldn’t qualify as “useful” in the instrumental sense is intrinsically and profoundly enriching and liberating. This is why we honor—and should honor even more highly than we currently do in our institutions of higher learning—excellence in the humanities and pure science (social and natural). Knowledge that elevates and enriches—knowledge that liberates the human spirit—cannot be merely notional. It must be appropriated. It is not—it cannot be—a matter of affirming or even believing correct propositions. The knowledge that elevates and liberates is knowledge not only that something is the case but also why and how it is the case. Typically such knowledge does more than settle something in one’s mind; it opens new avenues of exploration. Its payoff includes new sets of questions, new lines of inquiry. Let us return, then, to the question of why we should respect freedom even where truth is known securely. It is because freedom—freedom to inquire, freedom to assent or withhold assent as one’s best judgment dictates—is a condition of the personal appropriation of the truth by the human subject, the human person for the sake of whom, for the flourishing of whom, for the liberation of whom, knowledge of truth is intrinsically valuable. And it is intrinsically valuable not in some abstract sense but precisely as an aspect of the well-being and fulfillment of human beings—rational creatures whose flourishing consists in part in intellectual inquiry, understanding, and judgment and in the practice of the virtues that make possible excellence in the intellectual question. The freedom we must defend is freedom for the practice of these virtues. It is freedom for excellence, the freedom that enables us to master ourselves. It is a freedom that, far from being negated by rigorous standards of scholarship, demands them. It is not the freedom of “if it feels good, do it”; it is, rather, the freedom of self-transcendence, the freedom from slavery to self. Robert P. George is McCormick Professor of Jurisprudence at Princeton University. He is the author of the new book Conscience and Its Enemies: Confronting the Dogmas of Liberal Secularism, from which this essay is adapted. Tags: Academic Freedom, needed more than ever, Robert P George, Intercollegiate Review, Intercollegiate, Studies Institute To share or post to your site, click on "Post Link". Please mention / link to the ARRA News Service. and "Like" Facebook Page - Thanks! 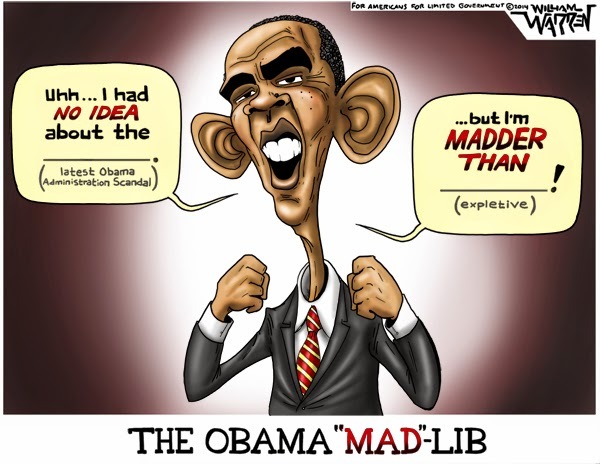 Tags: editorial cartoon, William Warren, Mad Lib, President Obama, To share or post to your site, click on "Post Link". Please mention / link to the ARRA News Service. and "Like" Facebook Page - Thanks! Just Another Democrat Obamacare Lie - We Can Fix-It! They told us we could keep our plans. The do-nothing Senate does nothing on health care. They often admit they love Obamacare as-is. As evidence for not believing them, consider the Senate inaction on over 40 House-passed bills fixing the worst elements of the law and has passed no bills of its own. Even the handful of Democratic senators who have introduced bills (including Hagan, Begich, and Manchin) have exerted no real pressure on their leadership to schedule a vote. Moreover, adding a “copper plan” with even higher deductibles will appeal to exactly zero consumers and do nothing to fix the real problems millions of Americans are suffering. Additionally, consider the compelling video evidence of the Democrats’ continued support for the law exactly as-is: President Obama’s enthusiastic “mission accomplished” type remarks at his Rose Garden presser, an exchange in which HHS Secretary Kathleen Sebelius was asked point blank in congressional testimony whether she would propose any legislative changes, and a recent television appearance in which DNC Chairwoman Debbie Wasserman-Schultz was unable to identify a single element of Obamacare that she would change. Consider also the many past and ongoing statements of elected Obamacare supporters for proof of their actual support for the law as-is, as well as a growing number of House-passed bills to fix the worst elements of Obamacare on which the Senate refuses to act. Why won’t the Senate act to restore the 40 hour workweek, as Senator Mark Begich, for instance, has specifically promised to do? Jimmy Hoffa, Jr. has said that Obamacare’s 30-hour workweek breaks the back of the middle class. The House-passed bipartisan bill to restore the workweek has not received so much as a committee hearing in the Senate. Why won’t the Senate act to delay the individual mandate? The most widely hated aspect of the law, the mandate punishes millions of Americans for being unable or unwilling to buy into the Obamacare disaster. Many businesses have already received a two-year reprieve from their mandate, but individuals cannot get a Senate vote on even a one-year reprieve. vote for six months. How can any Obamacare supporter credibly claim to want to “fix” Obamacare if they won’t close a loophole that could funnel billions of dollars directly from taxpayers to the biggest insurance companies? Are we left to conclude that that’s exactly what Obamacare supporters want? After all, the insurance industry wrote the law, lobbied for its passage, funds key liberal think tanks, and now enjoys a government-mandated customer base for its expensive products and direct bailout payments. Millions of Americans are suffering the disastrous consequences of this law, and the same Senate Democrats who thwart any attempt to fix the worst elements of the law are out on the campaign trail claiming that, if reelected, they will fix it. It’s a slap in the face of their constituents and all of us. We can't allow this to go unchallenged. Either Senate Democrats immediately undertake in earnest honest, open floor debate to reopen health care reform in a bipartisan fashion, or their “fix it” lies will be continue to be just another Obamacare lie. The Truth: They Are not going to Fix IT! Tags: Senate Democrats, Mark Pryor, Arkansas, AL Frankin, Minnesota, Kay Hagan, North Carolina, Mary Landriew, Louisiana, Jean Shaheen, New Hampshire, Mark Warner, Virginia, Kirsten Gillibrand, New York, Obamacare, Lies, more lies, the big lie, We can fix it,video To share or post to your site, click on "Post Link". Please mention / link to the ARRA News Service. and "Like" Facebook Page - Thanks! The Senate reconvened at 10 AM today and began a period of morning business. At 1:45 PM, the Senate will vote on confirmation of the nomination of David Barron to be United States Circuit Judge for the First Circuit followed by a vote on adoption of the conference report on H.R. 3080, the Water Resources Reform and Development Act. This afternoon, Sen. Marco Rubio (R-FL) asked unanimous consent to pass the bipartisan House bill allowing more VA accountability, but Senate Democrats objected. Yesterday, the Senate voted 68-27 to confirm Stanley Fischer to be a Member of the Board of Governors of the Federal Reserve. Also yesterday, Democrats once again used the precedent they set when they broke Senate rules to change the number of votes required to invoke cloture on a nominee via the nuclear option. They used this procedure to invoke cloture on the Barron nomination by a vote of 52-43. The House reconvened at 9 AM today. The continued debate on and at 11:04 PM passed 303-121 H.R. 3361 — "To reform the authorities of the Federal Government to require the production of certain business records, conduct electronic surveillance, use pen registers and trap and trace devices, and use other forms of information gathering for foreign intelligence, counterterrorism, and criminal purposes, and for other purposes." They then proceeded to debates on amendments for H.R. 4435 — "To authorize appropriations for fiscal year 2015 for military activities of the Department of Defense and for military construction, to prescribe military personnel strengths for such fiscal year, and for other purposes." The voted and passed 325-98 the bill at 12:17 PM. No other bills are scheduled today and the House will adjourn in a few hours after floor speeches, The House will reconvene tomorrow, May 23, 2014, at 3:00 PM. The Dayton Daily News reported, "[T]he VA settled many cases that appear to be related to delays in treatment. A database of paid claims by the VA since 2001 includes 167 in which the words "delay in treatment" is used in the description. The VA paid out a total of $36.4 million to settle those claims, either voluntarily or as part of a court action. . . . The Dayton VA in 2009 paid out $140,000 for a 2006 claim that was described as "Failure/Delay in Admission to Hospital or Institution; Medication Administered via Wrong Route; Failure to Order Appropriate Test. A pending $3.5 million claim from March 2013 was filed by a man who says delayed treatment of his wife's cervical cancer resulted in her death in March 2012." Dayton Daily News added, "The number of dead veterans could total more than 1,100 from 2001 through the first half of 2013 -- including 16 at the Dayton VA Medical Center and 11 at the Cincinnati VA -- according to records obtained via Freedom of Information Act." Tags: IVA, Veteran Administration, dead veterans, delay of service, secret lists, death panels, Washington, D.C., To share or post to your site, click on "Post Link". Please mention / link to the ARRA News Service. and "Like" Facebook Page - Thanks! The easiest path to wealth these days is not enterprise, but through bending the law to one’s advantage. Drs. 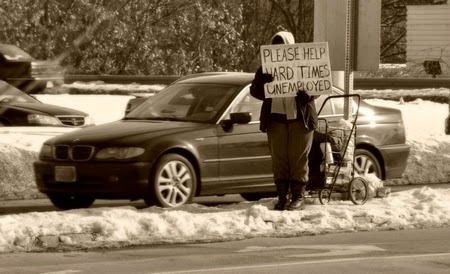 David Corbin and Matthew Parks, Contributing Authors: With the summer employment season upon us, millions of high school and college students are pounding the pavement, looking for “help wanted” signs in the windows of local businesses. Unfortunately, many will find that there are too many applicants for too few jobs—the unemployment rate among 16-19 year olds remains almost 20%. The Obama Administration’s solution is to make these jobs even more scarce by pushing for a massive increase in the minimum wage, from $7.25 to $10.10 per hour. In essence, the Administration is deliberately transferring wealth from less employable teens to more employable ones, creating a smaller group of better paid teens (and others) at the expense of a larger group of unpaid teens (and others). If successful, their artificial intervention into the job market (adding to the already artificial conditions created by the existing minimum wage) will mean that some larger number of teens will miss out on the experience, habits, and discipline summer work inculcates—of much more long-term value to most than a relatively little extra savings or spending money. The unfortunate lesson for the attentive teenager is that what happens in Washington is as important to their employment status as what happens on Main Street. Many of their elders have, of course, already learned this lesson and adjusted their behavior accordingly—none more so than those at the head of the largest American corporations. As Doug Bandow recently documented, the impending expiration of the federal Export-Import Bank has many of the biggest American businesses lobbying for an extension of the life of this corporate welfare dispenser. The Bank claims to have created hundreds of thousands of jobs, but in reality it has simply shifted jobs to the Bank’s favored clients (led by Boeing) from those companies that would otherwise have received loans in an open market–almost certainly at an overall net loss to the economy. Its impact on the credit market is equally predictable: subsidizing the loans of the too-big-to-fail banking giants while ignoring the often more financially responsible local and regional banks, a gratuitous insult on top of the great injury that the post-financial crisis regulatory regime (especially Dodd-Frank) has done to the small banks that had little or nothing to do with it, while perversely subsidizing those that did. A few more brief examples might complete this survey of the contemporary (government) road to wealth. 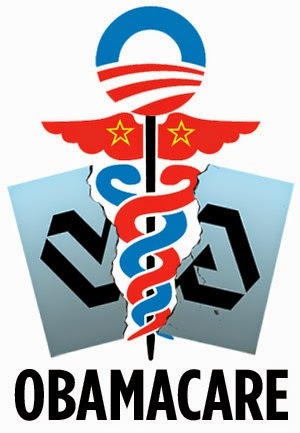 To date, some $5 billion has been appropriated by the government to fund Obamacare-related state health care exchanges. The well-documented results have often been disastrous. Oregon, at the head of the fraud, waste, and abuse line, spent $305 million to enroll . . . no one. 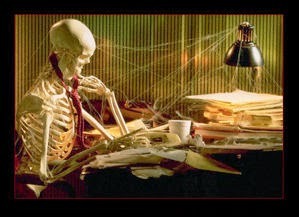 Meanwhile, an anonymous whistleblower revealed last week that a federal Obamacare enrollment center in Missouri, funded by a $1.2 billion federal grant, is filled with data entry workers who spend the day refreshing their computer screens every ten minutes while waiting for the two or fewer applications each processes per month to come in. Though the expansion of government power in the post-Civil War era created new opportunities for the jobbers—as the successive waves of Progressive-era expansion have continued to do so in the years since—the problem is as old as the American republic. Defending the Constitution’s Article I, Section 9 prohibitions on state ex post facto laws, bills of attainder, and laws impairing the enforcement of contracts in Federalist 44, James Madison argued:The sober people of America are weary of the fluctuating policy which has directed the public councils. They have seen with regret and indignation that sudden changes and legislative interferences, in cases affecting personal rights, become jobs in the hands of enterprising and influential speculators, and snares to the more-industrious and less-informed part of the community. They have seen, too, that one legislative interference is but the first link of a long chain of repetitions, every subsequent interference being naturally produced by the effects of the preceding. They very rightly infer, therefore, that some thorough reform is wanting, which will banish speculations on public measures, inspire a general prudence and industry, and give a regular course to the business of society.What the Americans of the founding era needed, Madison argued, was relief from the “fluctuating policy” that had artificially privileged “enterprising and influential speculators” at the expense of the “more-industrious and less-informed part of the community.” This is the essence of the corporate welfare, crony capitalist state: a system where the easiest path to wealth does not come through enterprise, but through bending the law to one’s advantage. There are at least three insidious consequences of such a system–in Madison’s day or in ours. First, it creates a zero-sum competition for government-sanctioned advantage. As Albert Jay Nock famously noted in his early 20th century work Our Enemy the State, gaining wealth by political means is very different from truly earning it in economic exchange. Voluntary free exchange creates value on both sides of the transaction, but, as in the case of the Export-Import Bank, “legislative interference” just diverts wealth from one channel to another: one party’s gain is another party’s loss. And the general public loses in either case as tax dollars or regulatory privileges prop up one otherwise inefficient enterprise or another. Second, such a system redirects the energy of the community away from “general prudence and industry” toward “speculations on public measures,” as Madison puts it. Why put in the long hours required to build a successful business, with all the risks of failure that attend the effort, when less effort can lead to much quicker and more spectacular success in the political sphere? A nation of political lottery-players is not the natural material of a self-governing community. Third, as Madison notes, once the political lottery comes to town, it generates an infinite variety of new scratch tickets: a constantly churning legal system in which one “job” begets another, so that the solid, hard-working citizen comes to the justifiable conclusion that he is playing the sucker for the well-connected. It can’t be good for anyone to spend the day idly refreshing a computer screen—it must be difficult to feel the satisfaction of earning one’s living by honest labor in such a case—but this is merely an extreme example of a much larger phenomenon: the privileging of public or publicly-subsidized employment over the real wealth-producing efforts of those in the private sector. And sometimes, the results are worse than wasteful: witness what appears to be the criminal–even homicidal–abuse of veterans in the emerging VA scandal. The authors of The Federalist argued that the remedy for jobbery, like so many political ills within a popular government, is the genius of republican liberty as given life by the American people. If the people do not demand an accounting of the improper administration of political affairs, no one else will. In the midst of the 2014 primary and general election season, the American people would do well to visit the excellent websites (here, here, here, and here) that track the unjust activities of the jobber barons and their political enablers. If these folks have your elected representatives in their back pocket, you would do well to help them join the unemployment line come the start of the 114th Congress. Drs. David Corbin and Matthew Parks are Professors of Politics at The Kings College (NYC). They are contributors to the ARRA News Service. They edit and write for The Federalist and are on Facebook and Twitter. Tags: Jobbers Batons, David Corbin, Matthew Parks To share or post to your site, click on "Post Link". Please mention / link to the ARRA News Service. and "Like" Facebook Page - Thanks! Phil Kerpen, Jim Martin, Contributing Authors: From Lexington to Louisville, Paducah to Pikeville, and Hima to Hazard, Alison Lundergan Grimes has gone to great lengths to portray herself to Kentuckians as a moderate Democrat willing to take on liberal special interests. It is ironic then that she was recently in Chicago being celebrated by an elite who’s who of liberal billionaires and political insiders. In fact, Grimes was a prime guest at the off-the record Democracy Alliance forum where she raised money not just for her own campaign, but also for a broad array of major liberal interest groups and Super PACs that she hopes will help propel her to the United States Senate, keeping it under the iron-fisted liberal control of Senate Majority Leader Harry Reid. To be sure, this was no confab of centrist or moderate political operatives. Democracy Alliance is the most extreme of the liberal left. For example, Tom Steyer, the San Francisco hedge fund billionaire whose $100 million pledge stalled the Keystone XL pipeline – the same jobs program Grimes claims to support – was there. So was George Soros’s son Jonathan, who now takes the lead on that hedge fund billionaire’s political engagement, which has historically funneled literally billions of dollars to radical left-wing causes. Other attendees have included other iconic liberals like Nancy Pelosi, AFL-CIO president Richard Trumka, and White House Senior Advisor Valerie Jarrett. Why is a self-described moderate Democrat like Alison Lundergan Grimes welcomed by such a group? Because they know Democrats must pose as conservatives to win in states like Kentucky that overwhelmingly oppose the president’s liberal policies. And to do so they need people like Grimes who, once elected, can be counted on to keep the reliably liberal and ruthlessly controlling Harry Reid in charge of the Senate to thwart any threats to President Obama’s agenda. The Grimes pitch to liberal Chicago donors is no doubt the same as Mrs. Obama’s pitch to New York donors: whenever her vote is really needed, Grimes will be called upon to rubber-stamp the president’s agenda, and she will oblige. Grimes is applauded in Chicago because everyone there knows what Credo knows: no matter what conservative-sounding promises she makes on the campaign trail, her race is really all about keeping liberals in charge of the United States Senate – and moving the country even further to the left. Yet Grimes shows no signs of being disturbed. She’s happy to conspire with the rest of the Chicago liberals – even though that aggressive move further left will hurt Kentucky more than Obama’s agenda already has. It means Obamacare continuing without repeal or remedy – until liberals can destroy the private health care system completely and institute a Canadian-style single-payer system. It means Appalachian coal and the jobs associated with it ultimately being destroyed. And it means all of our freedoms, including our Second Amendment rights, would be further threatened by more federal government interference. They say the company you keep is a reflection of who you are. In the case of Grimes, the company she keeps is in the business of preserving Harry Reid’s power. Period. Phil Kerpen is president of American Commitment. He is on Twitter and on Facebook. Kerpen is a contributing author for the ARRA News Service. Jim Martin is chairman and founder of the 60 Plus Association, and a native Kentuckian. They also shared this article on The Daily Caller. 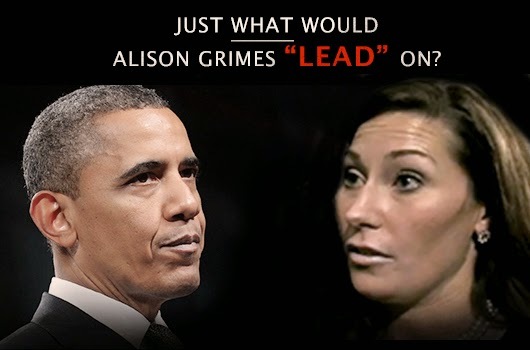 Tags: Alison Lundergan Grimes, progressive liberal, Obama supporter, Kentucky, 2014 Elections, Mitch McConnell Phil Kerpen, Jim Martin To share or post to your site, click on "Post Link". Please mention / link to the ARRA News Service. and "Like" Facebook Page - Thanks! Ken Blackwell, Contributing Author: Summer is officially upon us, and millions of American families will soon be embarking on their annual trips to the beach, the mountains, the lake, grandma’s house, or any other of the fantastic destinations our country has to offer. 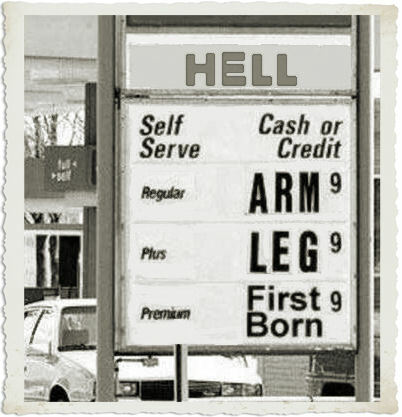 The beginning of “summer driving season” is also a time when many Americans turn even greater attention to the price of gasoline. After all, traveling several hundred or more miles in a loaded up minivan can rack up an awfully large fuel bill. But what about this year? Everyone knows that domestic oil production has been surging, and that this has created tens of thousands of jobs and improved our balance of trade. Doesn’t the Great American Oil Boom also mean that families won’t have to spend as much on the Great American Road Trip? One might be inclined to think that, but summer fuel prices tell us otherwise. According to AAA, the average gasoline price the week leading up to Memorial Day weekend is above $3.60, just a shade below last year’s national Memorial Day average of $3.63 per gallon. Further, according to the Energy Information Administration (EIA), the average cost of gasoline this summer is projected to be right in line with that of last summer. Add it all up, and the more than 36 million Americans who are expected to travel this Memorial Day weekend—a post-recession high—should not expect to see increased domestic oil production translate to lower gas prices at the pump. Making matters worse, despite improvements in vehicle fuel efficiency, the EIA expects that American motorists will consume the same amount of gasoline this summer as last summer, approximately nine million barrels of oil per day. In other words, our nation’s total spending on oil—which last year totaled a near-record $870 billion and accounted for 5 percent of total GDP—is still dragging down our economy, as more spending on oil equals less spending elsewhere with no added utility. The problem, of course, extends far beyond leisure travel. Americans can choose not to take a vacation if gas prices get too high, but they cannot afford not to go to work. Businesses cannot choose to not make deliveries or transport their passengers. So why hasn’t more domestic production of oil led to less domestic spending on oil? The main reason for this is simple: oil is priced according to a global market, not a U.S. market. While we are producing more at home, and even recently became the second largest oil producer in the world behind Saudi Arabia, all of our oil is part of the global market, where prices are determined by global supply and demand factors. Everything from supply disruptions caused by instability to booming economic growth in China or India affect prices. Recently, the tensions between Russia and Ukraine and the renewed violence in Libya have pushed prices upward. Does this mean that American drivers are simply out of luck and forced to pay high gasoline prices based on the global rate for oil? Yes and no. It is true that Americans will not see relief at the pump as long as global oil prices remain high, which they have despite the huge increase in U.S. oil production. However, as more drivers are finding out every day, there are growing opportunities to “opt out” of the global oil market altogether. While America’s transportation sector currently relies on oil for 92 percent of its fuel, more vehicles powered by electricity and natural gas are available to American drivers than ever before. To date, nearly 200,000 electric vehicles and 25,000 vehicles powered by natural gas are on America’s roadways. In addition to receiving rave consumer reviews, these vehicles are the single best way to diversify the transportation sector and give American drivers the opportunity to choose a less expensive fuel instead of being forced to make $100 stops at the gas station. However, our nation is not investing enough in the research and development needed to make these technologies even better and more affordable. The most recent Quadrennial Technology Review found that the Department of Energy is “underinvested in the transportation sector. Yet, reliance on oil is the greatest immediate threat to U.S. economic and national security.” The current investment is less than half the level of the 1970s (adjusted for inflation), and is less than that being made by our competitors in Europe and Asia. Americans get to choose where they want to travel this summer, and it’s only right that they get to choose the fuel they use to get there as well. While the domestic oil boom, which should be encouraged and expanded, won’t bring relief at the pump, accelerating the development of alternative fuel technologies will allow Americans to approach every driving season with confidence that high gas prices won’t ruin all the fun. Tags: Memorial Day, travel, increase costs, Gas Prices, Ken Blackwell To share or post to your site, click on "Post Link". Please mention / link to the ARRA News Service. and "Like" Facebook Page - Thanks! 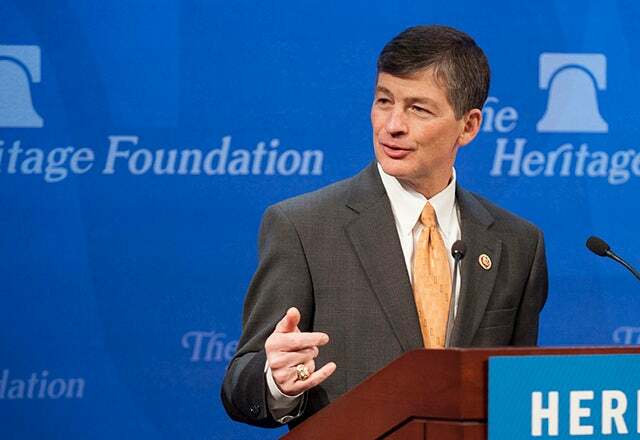 In a half-hour address at The Heritage Foundation called “A Time for Choosing,” Hensarling described the need to decide between a “Main Street economy” that thrives on competition among hardworking Americans and a “Washington insider economy” where corruption and cronyism determine winners and losers. Although he cited half a dozen examples of Washington-engineered unfair play in the economy, the chairman of the House Financial Services Committee spent about a third of his remarks making a case for doing away with the U.S. Export-Import Bank. Unless Congress reauthorizes it, the federal charter of the 80-year-old “Ex-Im Bank” will expire Sept. 30. The tax code, which is used to pick winners and losers by doling out special privileges and preferential treatment. “We need a groundswell for fundamental tax reform,” he said. Business subsidies, which the Washington establishment “pretends” amounts to little but – as Heritage’s chief economist, Stephen Moore, has noted — is more in the range of an “indefensible” $20 billion in direct income transfers. That’s about $200 million for each Fortune 100 company. The farm program, actually a tangle of subsidies, quotas and other benefits – mostly for commercial farmers whose median household income tops $205,000. “The fair way to help family farmers is to strengthen private property rights, expand trade opportunities, kill the death tax and rein in the EPA,” he said. Bailouts for Fannie Mae and Freddie Mac, the once-unimpeachable housing finance entities “at the epicenter” of the financial crisis. “It’s time for the Republican Party to live up to its pledge to end Fannie Mae and Freddie Mac and end their nearly $200 billion bailout, which is exactly what the PATH Act does,” Hensarling said, referring to his bill. I have no doubt that an overwhelming number of Democrats will support reauthorization of the Export-Import Bank. They want to allocate credit in our economy as part of a political process. Democrats are always happy to subsidize corporate America as long as they can also regulate and control it. Let them stand up for the Washington insider economy. But not us. Let us proudly stand for fairness. Let us proudly stand for the Main Street competitive economy. Today I call upon every Republican in Congress to let Ex-Im expire. Let the American taxpayers exit Ex-Im once and for all. Tags: Jeb Hesling, Representative, Texas, success, hard work, not Washington friends, cronyism, Ex-IM Bank, Ken McIntyre, The Foundry To share or post to your site, click on "Post Link". Please mention / link to the ARRA News Service. and "Like" Facebook Page - Thanks!